LaminaHeat products can be installed to deice driveways. On a brisk October afternoon, we visited Marc Anderson, the managing director of LaminaHeat North America, at the new LaminaHeat facilities in Greer. When not changing the world of heating technology, Marc is a part time professor of marketing at a university in Delaware, and had the congenial demeanor associated with academia. After a few minutes of small talk, we began our discussion of LaminaHeat. LaminaHeat is a “thin film carbon fiber heating provider.” Like any good professor, Marc knows when his audience needs a simpler definition and cleared up any lingering confusion by explaining the basics of the technology. “The consistency of carbon fiber in the sheet is critical, because once you have that consistency, you can start working with resistance,” he explains. “You’re taking electricity and you’re turning that into heat, which you do through resistance. And we can work with resistance.” With these fine carbon fibers, LaminaHeat can accommodate a voltage as high or as low as a project requires, and their technology is thin enough to be incorporated into almost any other material matrix. 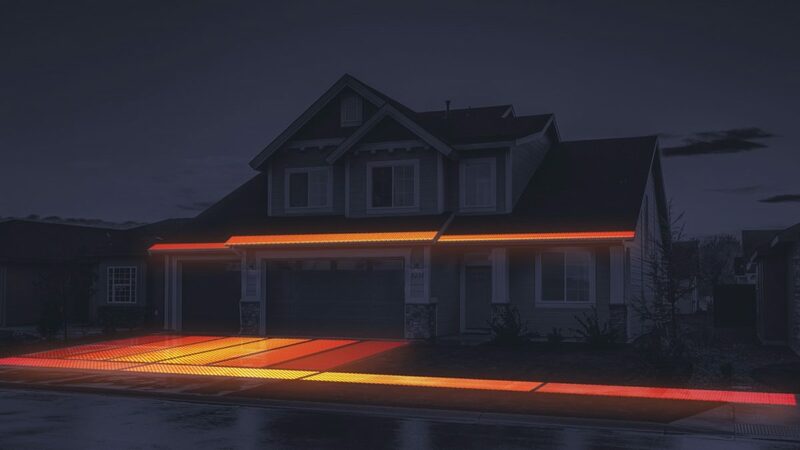 Not only is heat fully distributed across a surface, LaminaHeat can be placed with such proximity to the surface that it is “32% more energy efficient” than other heating solutions. The possibilities for this heating technology are limited only by your imagination. 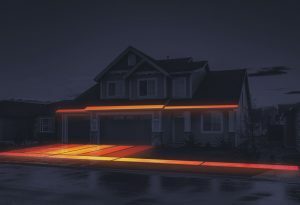 “Think of all the uses for heat,” Marc says; such a wide variety of applications is “a good problem to have.” While it can be challenging to decide which market segments to target, LaminaHeat is currently specializing in three: the comfort, safety, and industrial uses for their products. “I’m a composites guy,” Marc says, and explains that Laminaheat was originally started with composite tools in mind, for the purposes of curing parts in the mold. As the business expanded, the company realized that the bulk of demand was not in composite tools. It was in the comfort market. People love waking up every morning and putting their feet on a warm hardwood floor, stepping out of the shower onto heated bathroom tiles, and heating cold leather car seats for their early morning work commute. These comfort related heating applications are the largest opportunity sector LaminaHeat is pursuing. Two other major market sectors are the safety and industrial segments. You don’t necessarily think of safety with heat, but think about the need to deice a sidewalk, a driveway, a bridge. “My goal in life is to get rid of those signs that say ‘bridge ices before road surface,’” Marc tells us. The biggest challenge currently facing LaminaHeat is the time spent in development. This technology is innovative and new, and customers need ample time to test and evaluate their products. LaminaHeat may have to wait 2-3 years while a potential buyer is considering their product. This can be due to the need to test the product for durability, or a need to test during specific weather conditions. If you’re evaluating the deicing effects on a bridge, you can’t run tests in the middle of summer. With so many potential uses, it seems inevitable that once these products are tested and trusted, there will be a tipping point in demand. LaminaHeat is already preparing for future production demands, with plans to have their Greenville facility running at full capacity in the next few years.